By the time Jimi Hendrix died in 1970, the idea of a black man playing lead guitar in a rock band seemed exotic. Yet a mere ten years earlier, Chuck Berry and Bo Diddley had stood among the most influential rock and roll performers. Why did rock and roll become “white”? Just around Midnight reveals the interplay of popular music and racial thought that was responsible for this shift within the music industry and in the minds of fans. Rooted in rhythm-and-blues pioneered by black musicians, 1950s rock and roll was racially inclusive and attracted listeners and performers across the color line. In the 1960s, however, rock and roll gave way to rock: a new musical ideal regarded as more serious, more artistic—and the province of white musicians. 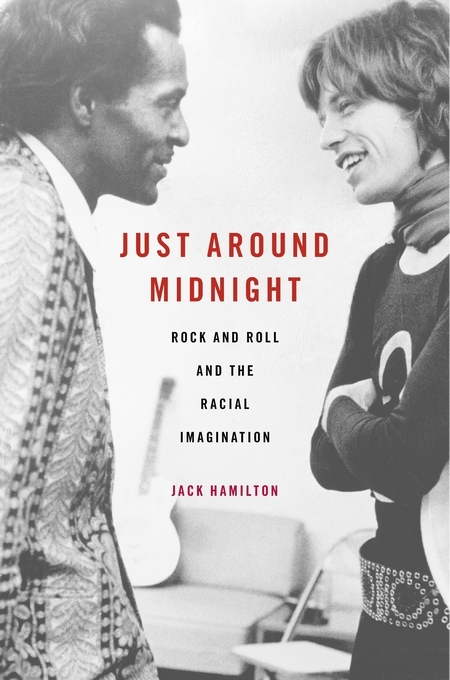 Decoding the racial discourses that have distorted standard histories of rock music, Jack Hamilton underscores how ideas of “authenticity” have blinded us to rock’s inextricably interracial artistic enterprise.